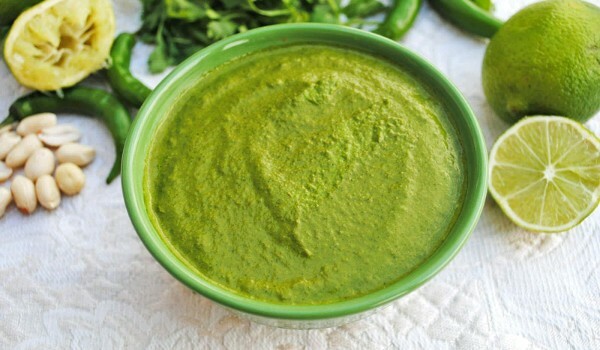 Serve this Peanut Cilantro Chutney with pita chips, samosas or sandwiches. Learn how to make/prepare Peanut Cilantro Chutney by following this easy recipe. Blend together green Chile peppers, cumin seeds, garlic and cilantro leaves in a food processor or blender to form a fine paste. Add yoghurt and lemon juice. Blend again for 1 to 2 minutes until smooth. Add peanuts and salt. Stir well.